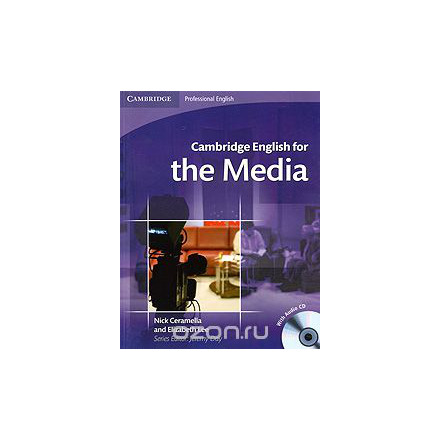 "Cambridge English for the Media" is for intermediate to upper-intermediate level (B1-B2) learners of English who need to use English for their studies or work in the media. The course can be used in the classroom or for self-study. "Cambridge English for the Media" is designed to improve the communication skills and specialist language knowledge of media studies students and professionals, enabling them to work more confidently and effectively. The eight standalone units cover topics common to a range of media-related fields, including newspapers, radio, TV, film and advertising. Authentic activities based on everyday work scenarios - such as producing and editing for print, radio and screen - make the course practical and motivating.